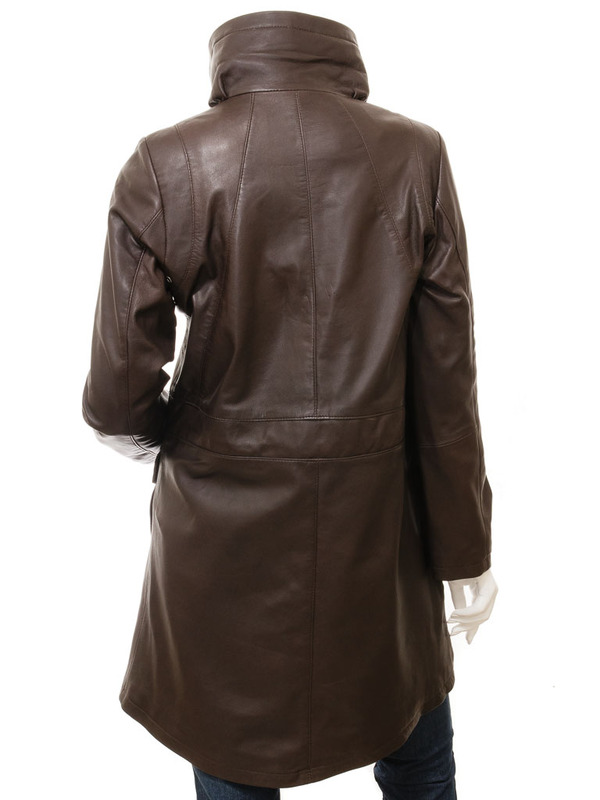 A smart yet practical brown leather coat. As the nights draw in the cold wind howls a coat like this is a lifesaver. 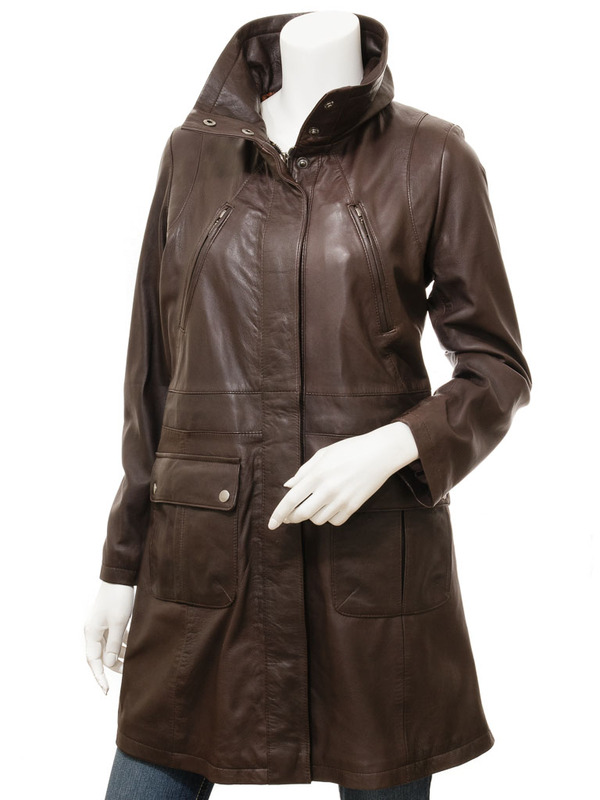 Crafted from our softest sheep nappa leather this coat extends to mid thigh length to keep you protected. 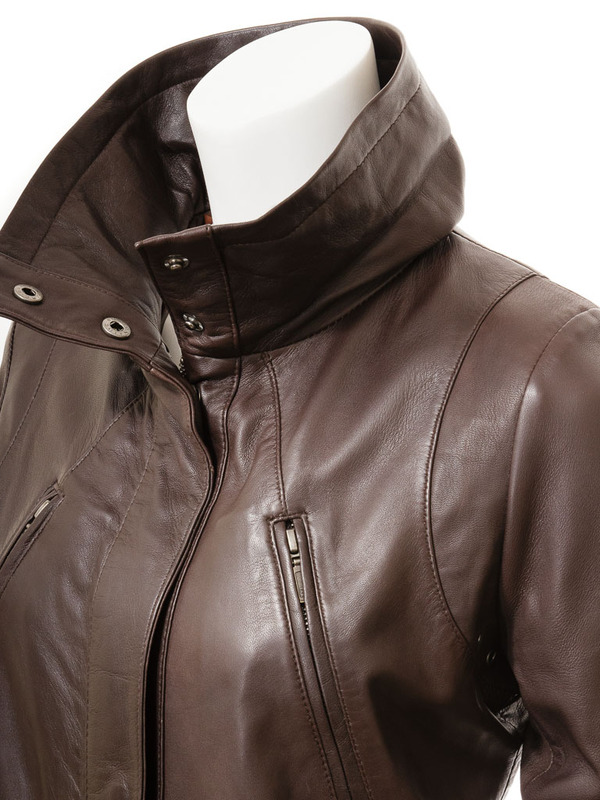 A YKK zip with a concealed press stud fastened fly front keeps the wind at bay while a high neckline is the perfect place to tuck a warm scarf. 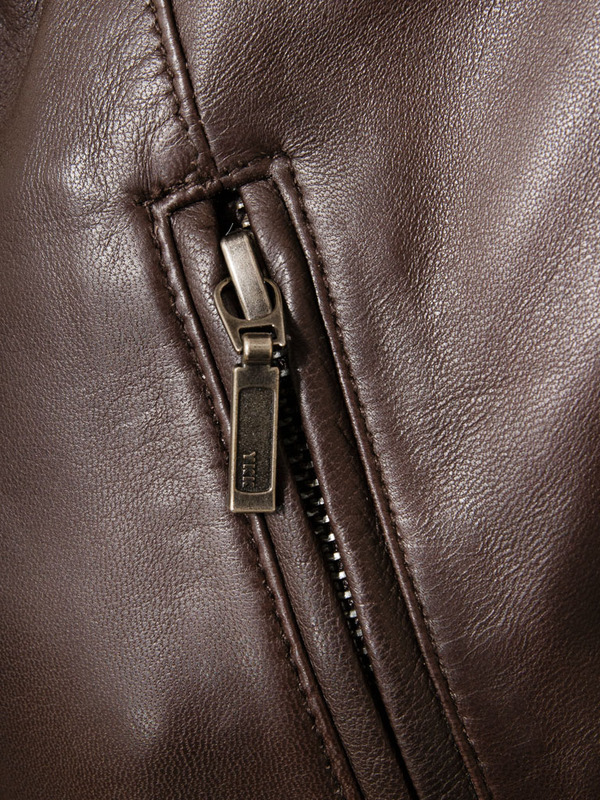 There are two angled zip pockets at the chest plus two larger flap, patch pockets at the hip, both with additional side entry, handwarmer pockets. 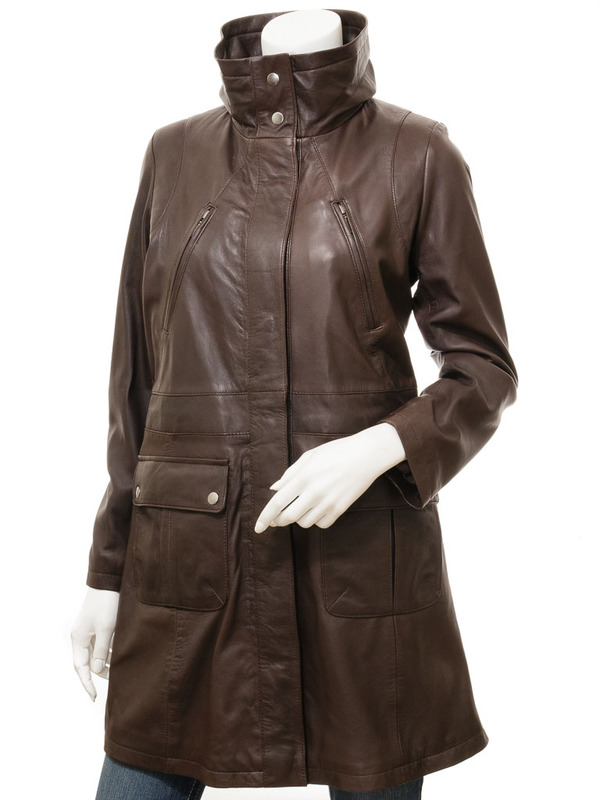 The interior is fully satin lined and incorporates a toggled drawcord at the waist to enable to fit to be adjusted perfectly.